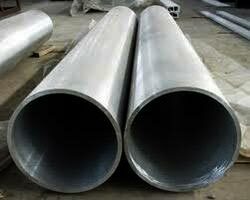 If you are searching for AISI 310 Stainless Steel Seamless Pipes & Tubes, then contact us. Our company is recognized as one of the prominent Manufacturers, Exporters and Suppliers of Stainless Steel Seamless Pipes & Tubes. They are developed in tune with set industrial standards and norms. We are offering our SS Seamless Pipes & Tubes in quality assured packaging material and at economical prices.